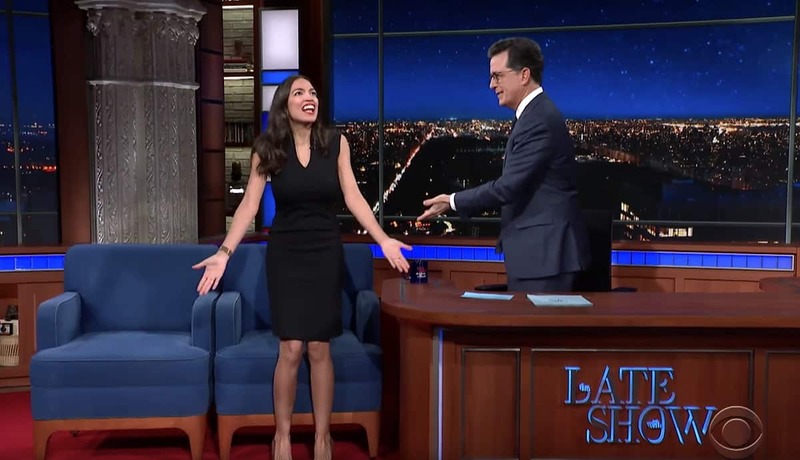 Stephen Colbert welcomed Rep. Alexandria Ocasio-Cortez (D-NY) to The Late Show on Monday night. Colbert quizzed Ocasio-Cortez about her experience as the youngest woman ever elected to Congress, her first weeks there, and her reputation as a media virtuoso. They shared a couple of pints of Ben & Jerry’s Colbert-flavored Americone Dream ice cream. And they talked about the government shutdown.